The second annual Melbourne design week is just finishing up — Good design can be complex, but it has a simple, common thread – the power to bring about feelings of wonder and inspire curiosity. 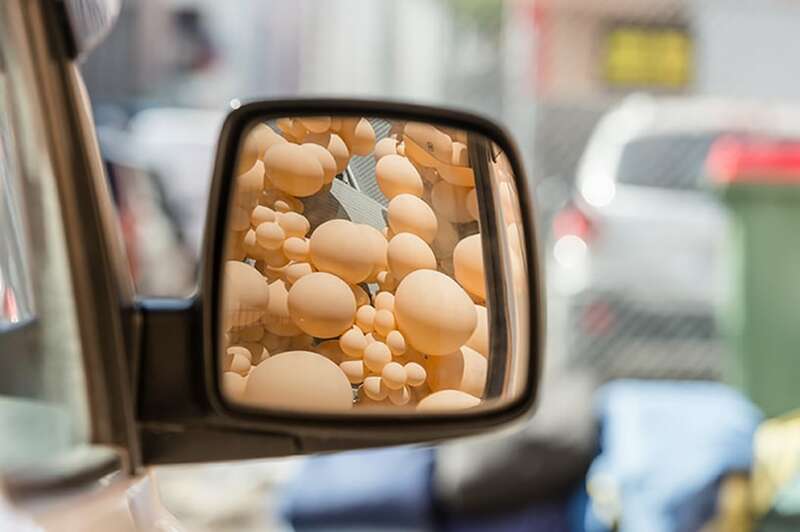 This idea has been the driving force behind a collaboration with LA-based balloon artist Geronimo and hub furniture, which headlined this years event. 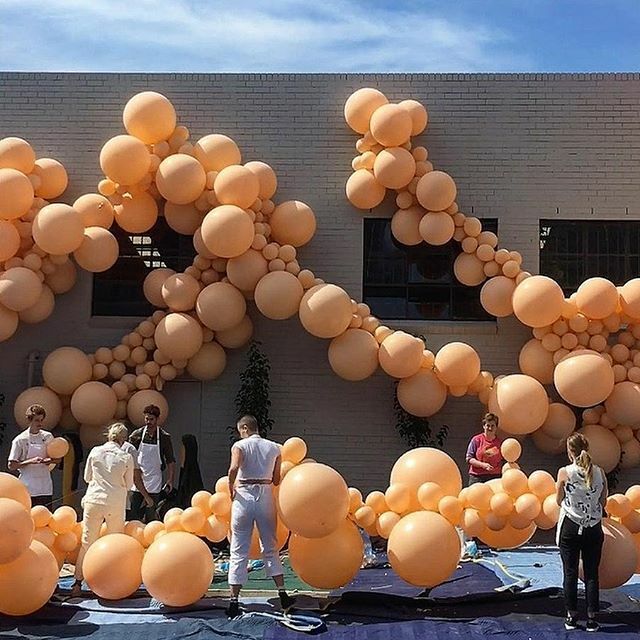 The aim 'to liven up the initiative using a 7,000-piece, biodegradable crescendo of care', on the facade of hub furniture‘s new Collingwood showroom. She peaks around corners. She smiles. Celebrating with passers by as she orchestrates the 'evolving' piece that is entitled 'diminishing elation.' 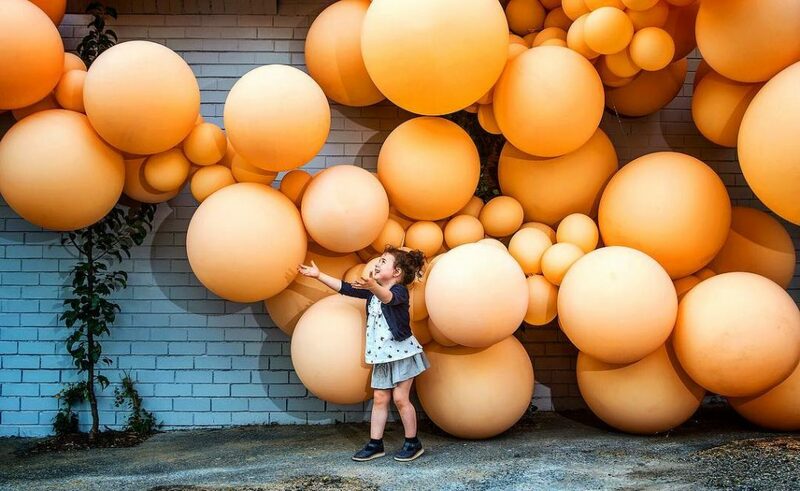 A piece those in the industry would call an organic sculpture created with blush balloons. And to ensure focused attention they announced a second installation at The Hub General Store and a finally a third in the windows of hubs now-closed Exhibition Street showroom. ‘My entire work is a love letter,’ Geronimo says ‘into town and into the people that I want to connect with in some way.’ Her eye-popping installment entitled, ‘diminishing elation’ was developed to delight. Balloons are lively by association. They joyfully join us. Even without an artist‘s touch, they have that ephemeral capability to please us. But Geronimo’s balloons — lovingly clustered, drifting together — can connect some people. 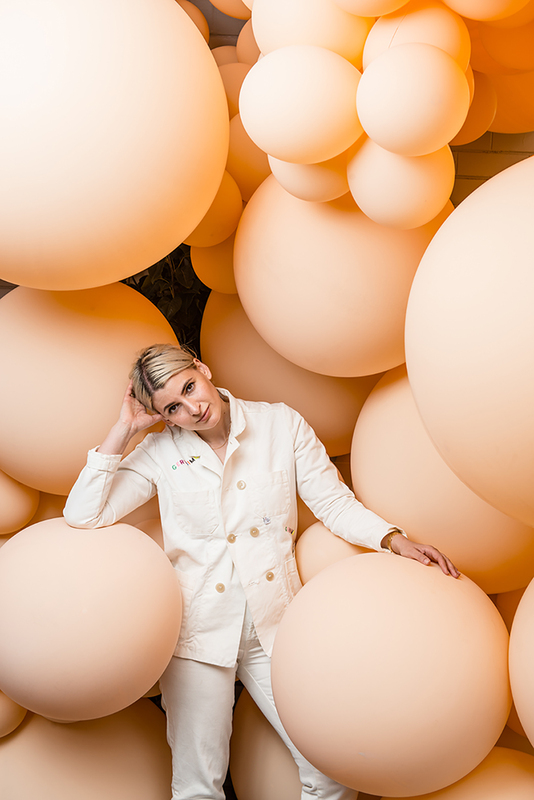 Their connections make decreasing happiness, in all of its tens of thousands perfectly celebratory for Melbourne design week’s programs, which are being held at NGV international, NGV Australia and spouse venues across the state. The concepts of joy, longevity, balance and mindfulness, which are all central to the theme of this year’s Design Week. Jacqueline Foti-Lowe who is a Director and owner of Hub wrote the following after visiting the piece at 5am after a night of very strong winds. The good news is that you do not need to fly an artist from LA to create a unique organic sculpture for your next event, we have completed many sculptures both large and small and can design and develop a individual piece specific to your requirements.